We are a highly acclaimed organization engaged in offering best quality BOPP Bags. 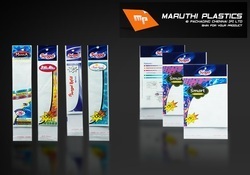 We are leading Manufacturer, Supplier, & Exporter of Bopp bags for Stationery. These BOPP bags are offered with self-adhesive strip so that they don't wear out quickly. We are a unique name in the industry to provide our prestigious clients an exclusive range of Raj Plast Echo Plastic Poly Bag. We are bringing our clients a large collection of BOPP Bag to our customers. 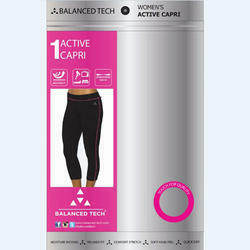 We bring forth our vast industrial experience and expertise in this business, involved in providing BOPP Laminated Bag. We are offering a wide range of BOPP Seal King Bag that are procured from reliable vendors of the market. These are tested on various quality parameters by our skilled professionals so as to offer only quality products to our clients. In order to keep pace with the never ending demands of customers, we are involved into offering wide range of BOPP Seal King Bag. We provide an entire range of BOPP woven bags in varied sizes and colors, which is very useful for storage of food materials. The BOPP film lamination provided on the outer surface of the bag ensures bright printing, attractive look and perfect finish to the product. Enriched by our vast industrial experience in this business, we are involved in offering an enormous quality range of BOPP Poly Bag. Our company has been successful in winning appreciation from the clients as one of the most prominent names in the trading of BOPP Zipper Bag.